Natural wholesome ingredients fortified with vitamins and minerals. No corn wheat artificial colors flavors or preservatives. Probiotics promote healthy digestive and immune systems. Oven baked for better nutrition. 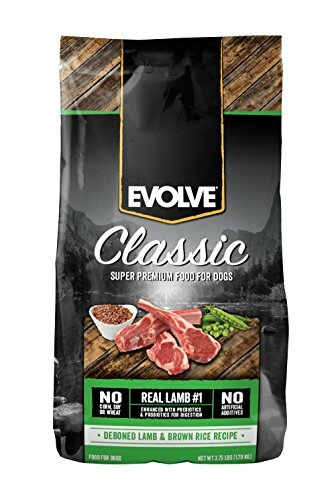 For adult dogs who prefer the taste of lamb or who have sensitive stomachs. If you have any questions about this product by Evolve Pet Food, contact us by completing and submitting the form below. If you are looking for a specif part number, please include it with your message.